Sure keep telling yourself that if it makes you feel better. Are you up to wager if I'm wrong about your"bacon" being turkey? 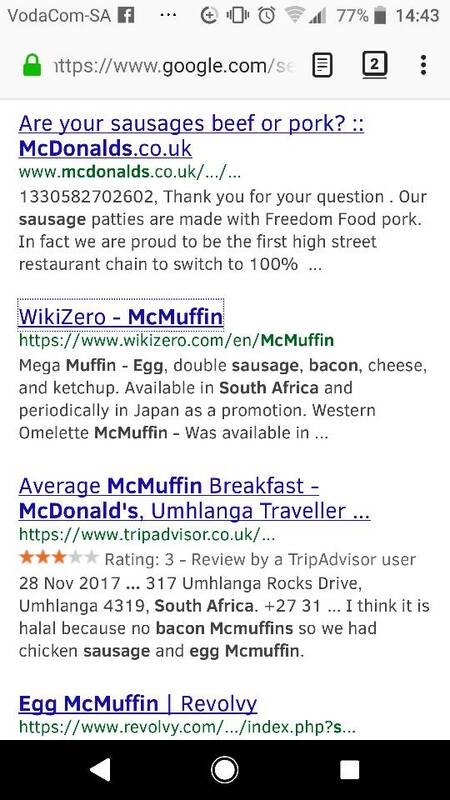 I've yet to see proof McDonald's was halaal on all their menus before 2008, despite me proving otherwise. You haven't actually proven anything. That wiki could have been edited by anyone and for any reason, for example accuracy. there are no earlier entries unfortunately but, they have been Halaal since at least then.. the only earlier entries are for 1998 and 1999 and is a holding page for the domain.. Thanks, you're the only one that provided proof and not thrown about insults. It seems like there would have been a rouge franchisee seeing as a number of my friends remembers the bacon in the mcmuffins. Neither was high on drugs. No need to owen insult in that way unless you want me to say the same about you. It just shows that you guys don't know the difference between turkey bacon and normal bacon without it being pointed out.